Zip, fly and soar across the Caribbean on a power-rafting tour from St Maarten and experience its turquoise waters in a whole new way. 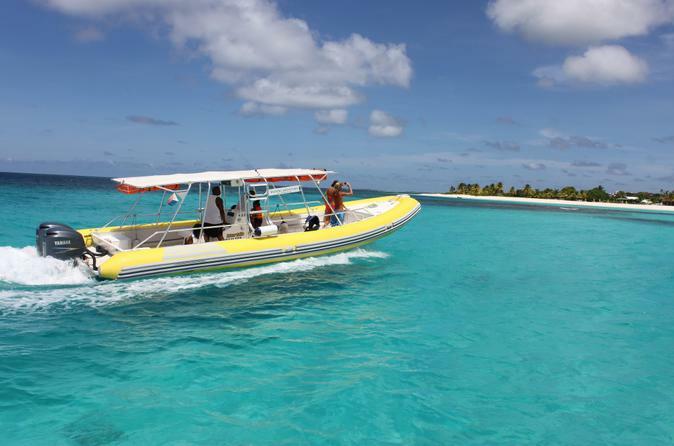 Set out from Philipsburg on an inflatable motorized vessel, exploring hidden beaches and speeding along the island's scenic coastline; stopping for snorkeling among tropical fish as well as a bit of white sand lounging at Mullet Bay. Your experienced guide will point out fascinating sights along the way during this traditional day cruise alternative.